Born abroad to an adventure loving family, Meagan Abra Blessing spent her formative years as a competitive figure skater and equestrienne. Summers were spent packing on horseback, living, and working in various western states from Alaska to Colorado. Attending college with majors in Equestrian Studies and Vocal Performance, she spent nearly twenty years teaching music and horsemanship, training and showing horses, raising a family, and performing on occasion. 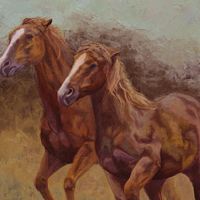 In 2002, she made the transition from performing arts to visual arts and, in the process, found that her love of the West and her knowledge of the equine form heavily influenced her choice of subject matter. Today, Meagan draws inspiration for her work from the sense of freedom and spontaneity often found in the Russian impressionist style coupled with the chromatic and emotive qualities typical of more expressionistic painters. 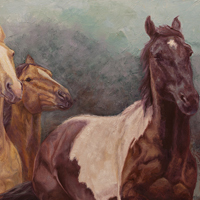 She has studied under nationally known artists with a particular emphasis on developing the fundamental principles of fine art, cultivating sound technique, and refining her color theory. 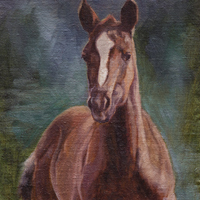 Ever mindful of the underlying structure and overarching character of her subjects when choosing her compositions, Meagan’s years of hands on experience with horses in various capacities have resulted in paintings that are reflective of individual equine temperaments and personalities. The many horses she has had the pleasure of working with have given her insight into the inherent nobility and vulnerability of these animals that have fascinated people for ages. 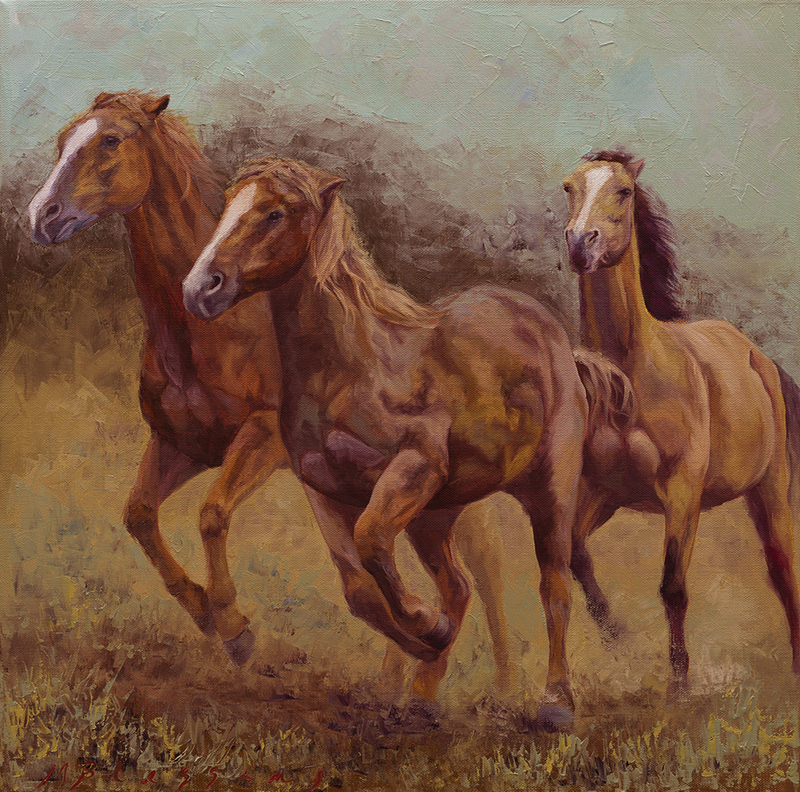 Meagan’s love of the wild places of the West coupled with her passion for all things equine is evident in her lively, expressive paintings. 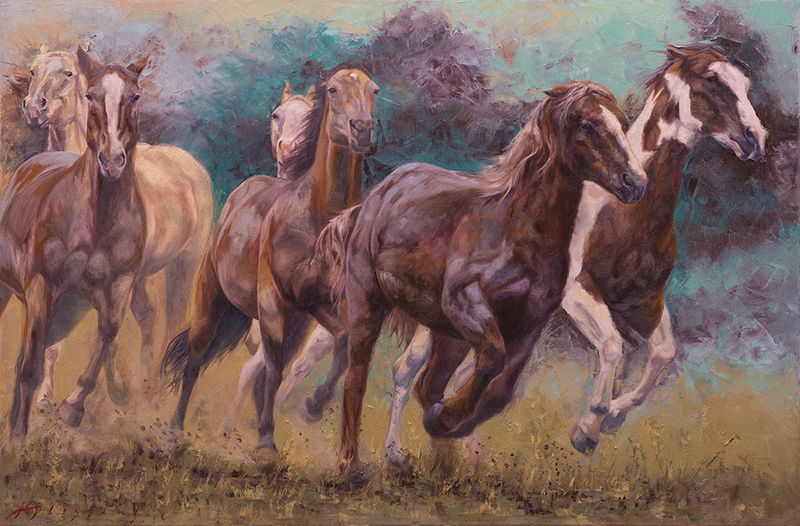 Meagan’s renditions of horses are vibrant and dynamic, and her playful utilization of color and light brings a contemporary twist to classic and often quintessentially Western imagery. Her work has been shown in several national exhibitions, including The Mountain Oyster Club Art Show & Sale, Tucson AZ, Out West Art Show & Sale, Great Falls MT, The Heart of the West, Coeur D’Alene ID, and Traveling the West Art Show & Sale, Dallas TX. 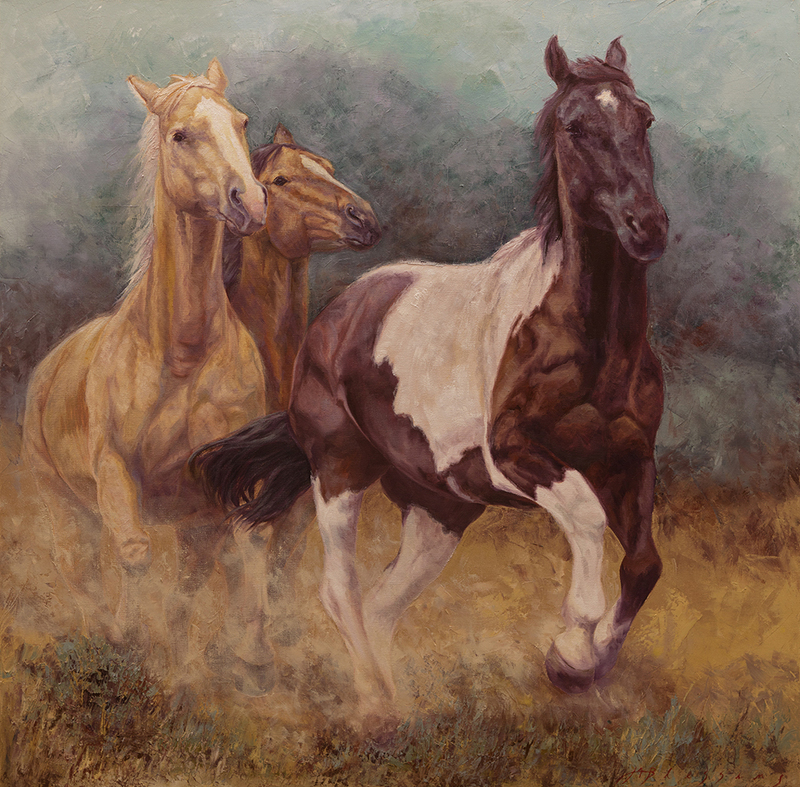 Meagan has been featured in various publications, including Western Art & Architecture, Big Sky Journal, Western Art Collector, and Southwest Art. 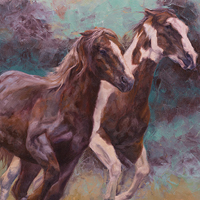 She was recently awarded Fine Art Connoisseur’s Best In Show Award at the 2016 Out West Art Show & Sale.